During his still-short managerial career, Pep Guardiola has coached many modern-day legends, including Carles Puyol, Andrés Iniesta, Xavi, Samuel Eto’o and Lionel Messi. But there’s only one man he’s ever labelled as “the most intelligent player I have ever coached”, and it’s none of the aforementioned names. Instead, it’s Philipp Lahm, the World Cup-winning captain of Germany and a player whose name makes most lists of modern greats. For over a decade now, Lahm has remained a constant in the Bayern Munich team and in the process has won 113 caps for Germany, the last coming in the victorious World Cup final before a calculated retirement from the international scene. Along with the likes of Franz Beckenbauer, Gerd Müller and Paul Breitner, he will go down in history as a true great for both club and country; a consistent performer on the pitch and a well-spoken, humble man off it. Lahm is the son of two football-mad parents. His mother, Daniela, was a youth leader at community team FT Gern, while his father was a player at the same club. Having met and married through FT Gern, the couple welcomed Philipp into the world on 11 November 1983. With such strong connections to the club and with it also being in close proximity to the family home in western Munich, it wasn’t long before Philipp was playing for the junior teams and making a name for himself. It was quickly evident that he possessed talent that far outweighed his team-mates, opponents, and parents. By the age of 10, scouts from Bayern and 1860 Munich were making regular trips to see him play, but, despite their professed eagerness to sign him, Lahm was uninterested in moving. He was happy and settled at FT Gern, where he played with his childhood friends and enjoyed the close-knit environment the club afforded him. Eventually the persistence of both clubs, and a realisation that he would have to move sooner or later, made him start considering which of the two he would sign for. Whilst making his mind up, Lahm was offered the chance to reverse the roles and scout 1860 when FT Gern received an invitation to play against one of the club’s youth teams. After the game, Lahm, who is not one to complain lightly, bemoaned the Spartan nature of the facilities 1860 had to offer and duly made his way to Bayern. Despite the unwavering faith in Lahm’s ability, there were also many sceptics who questioned whether he really was as good as the praise he was receiving. 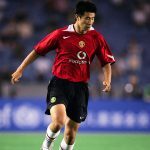 After coming on in the 90th minute to make his debut for Bayern – two days after his 18th birthday – during a Champions League group stage match against Lens during the 2002/03 season, it would take another 18 months before his real chance would come, such was the strength of French full-backs Bixente Lizarazu and Willy Sagnol. Hermann Gerland, another of Lahm’s coaches, had been, without much success, trying to find a club to take the youngster on loan for months. Eventually, VfB Stuttgart took him to the south-west city for two seasons between 2003 and 2005. Felix Magath was managing the team at the time and, despite his poor reputation on British shores stemming from his painful stint as Fulham manager, he was widely respected in Germany. His demon-like approach to fitness and discipline was not for everybody, but for a young player like Lahm it worked a treat. Lahm was originally signed to provide competition at right-back for Andreas Hinkel but soon found himself occupying the other flank. Lahm’s many years at left-back was all the product of a cheeky lie. When asked by Magath whether he had played there before, Lahm, desperate for a chance to prove himself, said that he had. From the sixth game of the season onwards, Lahm overtook German international Heiko Gerber as the first choice left-back and never looked back, making his first Champions League start against Manchester United soon after. In total, Lahm played 38 games for Stuttgart during his first season and, such was his impact, came second in the German Footballer of the Year awards. From the sixth game of the season onwards, he overtook German international Heiko Gerber as the first choice left-back and never looked back, making his first Champions League start against Manchester United soon after. In total, Lahm played 38 games for Stuttgart during his first season and, such was his impact, came second in the German Footballer of the Year awards. He also impressed Rudi Völler enough to not only be given his international debut in February 2004 but to also make the Euro 2004 squad. He started all three games at the tournament and, despite Germany being heavily criticised for failing to advance past the group stage, Lahm’s performances – alongside his friend and Bayern colleague, Bastian Schweinsteiger – were seen to be promising and as such he was often excluded from the media hammerings. He returned to Stuttgart after a brief holiday and got stuck into a shortened pre-season. A youngster coming off the back of a tricky summer and an all-too-brief off-season, Lahm found it hard to adjust and implement the tactics of Matthias Sammer, who had replaced Magath during the summer. Despite struggling to initially match his form from the previous season, he was soon back to his best and played 22 times before the winter break. The second half of the season, however, would be a write off as injuries derailed his development. The injuries meant that his return to Bayern started on the treatment table. In the year of a home World Cup, Lahm was prepared to give everything to get back on the pitch and prove himself to the Bayern hierarchy and new Germany boss Jürgen Klinsmann. He returned to action at the end of November and started off playing twice for the B team to get himself match fit. He was soon in the Bayern first team, however, making his first start against Arminia Bielefeld. He would make 23 more appearances that season and managed to overtake the ageing Lizarazu as first choice left-back. Despite having missed over a year of international football between January 2005 and March 2006, Klinsmann still called Lahm up for that summer’s home finals. After a successful return to the national team environment, and with morale in the camp high, Lahm was raring to go. The first game was to be played at the Allianz Arena, with Lahm knowing he still had work to do to win over the Bayern faithful. After all, he hadn’t managed to play many games at the new stadium because of both his loan spell in Stuttgart and the injury he returned to Bayern with. It wasn’t going to be plain sailing for the youngster. In the last warm-up game before the real work could begin, Lahm tripped over an opponent’s boot and landed awkwardly on his elbow. Replays would show Lahm placing all his weight on one arm whilst falling to the ground, and immediately there were fears over his fitness. Tests later indicated he wasn’t in danger of missing the whole tournament, but the first game in Munich was touch and go. Such was Lahm’s importance to the team at this point that Angela Merkel singled him out to specifically ask how his elbow was feeling when meeting the German team to wish them good luck before the tournament. With the help of a protective cast covered by the long sleeves Lahm chose to wear, he was able to take his place at left-back for the opening game against Costa Rica. With only five minutes down, Lahm picked the ball up outside the Costa Rican box and chose to cut inside on to his stronger right foot. Having never scored a long-range effort in his fledgeling career, or even given an indication he had the ability to do so, many in the stadium assumed he would try to pick out Miroslav Klose with a cross. Instead, he dropped his shoulder and put everything into a shot on goal. In that moment, everything from before was forgotten; his elbow injury, the knee injury that interrupted his season and the uncertainty over his place were all banished as his shot flew into the top corner. Lahm himself summed it up best: “The best goal of my career so far as well as the most important, not just for me but for my family, my teammates and our supporters.” Germany were up and running for the tournament and Lahm had shown the fans in Munich what to expect over the coming decade. A fraught 4-2 victory followed, with Lahm the toast of Bavaria. In the next game, a tricky encounter against rivals Poland, Lahm stepped up to the fore once again. In a match that was more a test of wills than pure football ability, he was ever-present. Germany were trying everything to take the lead, while at the other end Lahm was extinguishing fires and getting in the way of most Polish attacks. It was a performance of guts over skill and showed everybody that he was just as capable of protecting his own goal as he was of attacking the other. A late Oliver Neuville strike eventually gave Germany the win and with it progression to the next round, but the importance of what Lahm had done was not lost on anybody as he deservedly picked up the man of the match award. He played in the next three games against Ecuador, Sweden and Argentina before coming up against Italy in the semi-finals. Germany and Italy may not be perceived as enemies, but the Azzurri have a unique stranglehold over Die Mannschaft. Never in a tournament had the Germans beaten Italy, yet here everything seemed to be favouring them. They were at home, playing in front of an audience that had fallen in love with their brand of football, and they were playing in Dortmund, a stadium in which they had not lost in for a number of years. It was all set up for a home final – they just had to get past their bogey team first. Despite the game being goalless for the large majority, it is still viewed as one of the great World Cup semi-finals. At left-back Lahm knew that he couldn’t let up an inch. He knew if he lost concentration for a second, the wily Mauro Camoranesi would not hesitate to capitalise, and so he produced a performance similar in stature to his game against Poland and one that belied his 22 years. However, despite giving his all for the cause, the Italians broke German hearts once again. A Fabio Grosso shot in the last minutes of extra-time flew past Lahm and the outstretched hand of Jens Lehmann to send Italy to the final. Minutes later, Alessandro Del Piero would score another with the last kick of the game to put the nail in the coffin. Having given his blood, his sweat and now some of his tears for the cause, he knelt on the pitch overcome with emotion as he saw his dream of winning a World Cup on home soil disappear in a mist of royal blue. Although it was a despairing moment for Lahm and Germany, the work of Klinsmann and the role of Joachim Lõw, his assistant at the time, had set the wheels in motion for Die Mannschaft to reach their zenith eight years later. If Germany were a rising force at the time, Bayern were a fading one. Having now learnt how to cope with a shortened summer holiday and a hastened pre-season, Lahm returned to Bayern to find his old Stuttgart coach, Felix Magath, at the helm. Bixente Lizarazu was no longer at the club, paving the way for Lahm to make the left-back spot his own. Magath placed his faith in the youngster and Lahm never looked back, playing in all 34 Bundesliga games and nine out of 10 Champions League fixtures. While Lahm’s performances were particularly consistent, the rest of the team struggled under Magath’s dictatorial style of management. By February he had been replaced by his predecessor Ottmar Hitzfield, but Bayern stumbled to a fourth-place league finish, a quarter-final exit from the Champions League and a third-round exit in the German Cup. Read | Did the traditional German leader disappear with Philipp Lahm? Amidst rumours of Real Madrid interest, Lahm had doubts about his future. For the time being, however, he put those thoughts to one side in the hope that Bayern could have a renaissance in 2007/08. Bayern saw nine players depart the Allianz and brought in 10, with Franck Ribéry amongst the herd. With Marcell Jansen arriving, Lahm was finally able to revert to his favoured right-back role. Despite having to remain at left-back for most of the season due to his compatriot’s injuries, Bayern did get back to winning ways, lifting both the Bundesliga and the DFB-Pokal. Having signed the contract in May 2008, he had also avoided the possibility of being surrounded by a transfer saga while with the German team at Euro 2008. Joachim Löw had taken over from Klinsmann after the 2006 World Cup and had started brightly. The German team was still playing a fluid brand of football and the young players that had come into the public conscience in 2006 had two more years of growth and experience under their belts. Marcell Jansen had made the left-back position his own and Lahm was excelling on the other side. Going into the tournament, Germany were one of the favourites and wasted no time in sending out a message of intent with a 2-0 win over old rivals Poland. The next game would be an altogether different challenge against the power of Croatia. Jansen had come under criticism for his performance against Poland and was faring no better against Croatia. At half-time Low decided enough was enough and Jansen was hauled off the pitch, with Lahm moving back over to the left. This wasn’t enough to prevent a 2-1 defeat, but Germany bounced back and qualified for the quarter-finals with a routine but unspectacular 1-0 win over co-hosts Austria. A 3-2 win over Portugal in the quarter-final paved the way for a date with Turkey, who, along with Russia, had been the surprise package of the tournament. An entertaining match, in which both teams fought like Ali and Frazier, defined the tournament. With the score at 2-2 after an 87th-minute Turkish equaliser, it looked as if the game would be heading to extra-time. The time to stand up and be counted was now, and who other than Lahm to take the bull by the horns. In stoppage time he picked the ball up and strode purposefully down the left before playing a quick one-two with Thomas Hitzlsperger. Having lost his marker, Lahm was now one-on-one with the goalkeeper. Lahm, with the composure and skill of a seasoned striker, smashed the ball in at the near post to send Germany to the final. Spain would be the gargantuan task for the Germans in the Vienna final. La Roja had not won a tournament since the fledgeling versions of the Euros and were largely seen as a footballing nation that choked on the big occasion. Though some were shouting that this Spain team had something different about them, Germany were a footballing nation that knew how to see the job through – and planned to do so once again. Lahm took his place at left-back once again but was caught out in the 37th minute. An exquisite Xavi pass sent Fernando Torres through on goal with Lahm the only defender in his way. Despite jostling and trying to put Torres off, there was nothing much Lahm could do. The Spaniard produced a world-class finish to give Spain the lead, one they wouldn’t surrender as they won their first tournament since 1964 and took their maiden steps to becoming the awe-inspiring Spain team we would all get to know. After an extended break, Lahm returned to Bayern Munich amidst great change. Oliver Kahn had retired the season before and Ottmar Hitzfield had left to take over the Swiss national team. Jürgen Klinsmann was appointed his successor amid much fanfare, while Mark van Bommel was named as the new captain. 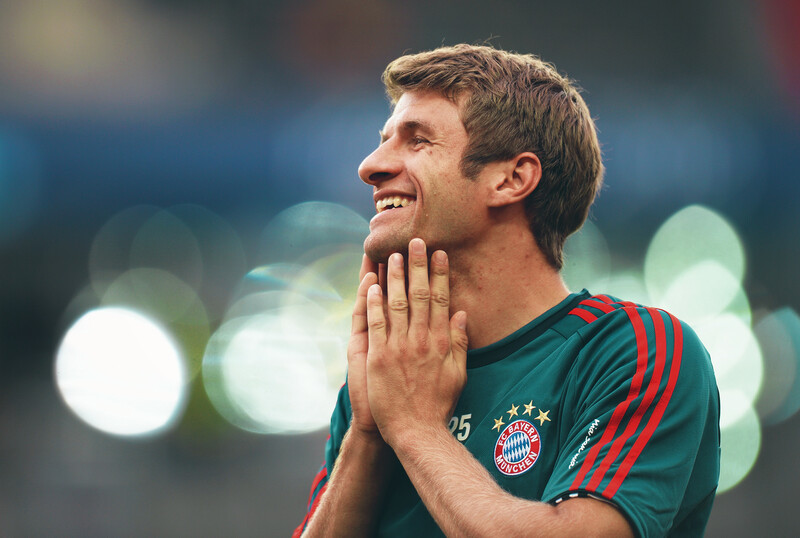 Bayern went into the 2008/09 season full of hope, with the positivity of change in the air. 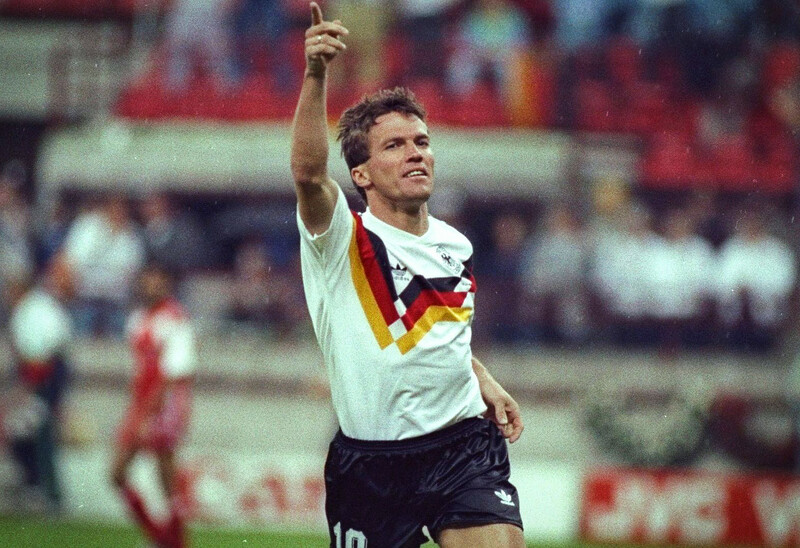 Klinsmann was still enjoying the fruits of his labour with the German national team from two years previously and his appointment was seen as one that would help Bayern shed the tag of sleeping giant and finally take back their place amongst Europe’s elite. Lahm was excited too: along with Felix Magath, Klinsmann was one of the men whom he owed a lot to. The former German striker had kept his faith in the youngster when injuries looked certain to keep him out of the previous World Cup. 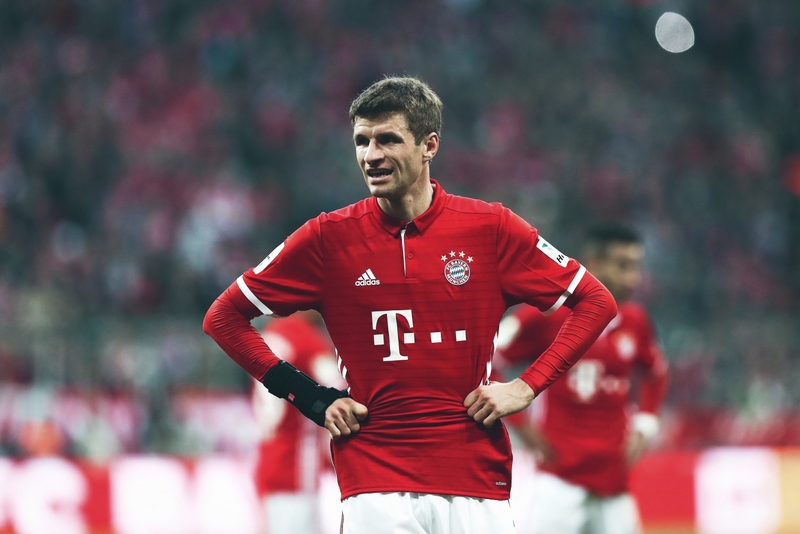 Despite giving everything he could for Klinsmann, Bayern again had an indifferent season. Heavy losses to Wolfsburg, Werder Bremen and Barcelona, combined with the threat of once again missing out on Champions League football, meant that Klinsmann was gone by April, replaced by Jupp Heynckes on a temporary basis. When signing his new contract to stay at Bayern, Uli Hoeneß had promised Lahm that he would build a team around him that would be the envy of Europe, yet Bayern were once again struggling. Still, Lahm kept his counsel and held his tongue – for the moment at least. 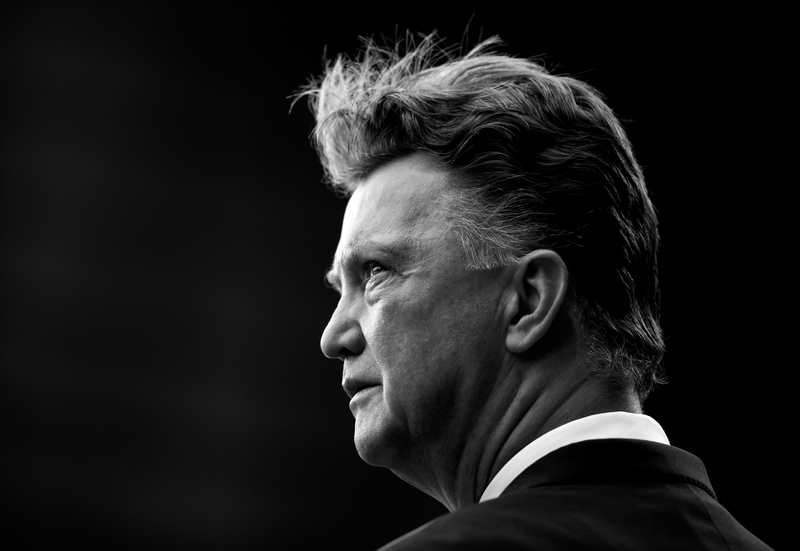 Heynckes would not be given the role on a full-time basis – instead Louis van Gaal took over for the 2009/10 season. Hoeness had started to make good his promise to Lahm and Bayern signed several players of quality. Mario Gómez arrived for a Bundesliga record fee and Arjen Robben joined him from Real Madrid along with Danijel Pranjić, Ivica Olić and Anatoliy Tymoshchuk. Lahm, in a newly appointed role as vice-captain, could see better days ahead. It may not have been the hardest-hitting interview ever, but it cut right to the core. Lahm was hit with a €10,000 fine by the board, while the Bayern fans applauded his frankness. They too had been vocal in their criticism of the club and connected with the thoughts of their local hero. If the speech had been intended as a tactic to rouse the squad out of their early-season slumber, it worked wonders. Before the winter break, Bayern managed to win four league games in a row as well as a crucial Champions League fixture against Juventus that saw them reach the knock-out stages. After returning from a warm-weather training camp in early January, they went on a five-game winning streak in the league, with Lahm’s words still ringing in their ears. The squad was showing that Van Gaal’s style of play was working as they went on a marvellous run that would culminate in another league and cup double. The chance to do the treble for the first time in their history was also within touching distance. Having beaten Fiorentina, Manchester United and Lyon, the chance for continental glory was on the cards in Madrid. After the success they had already achieved domestically, the fine Lahm had been made to pay was seeming like money well spent as they lined up against José Mourinho’s Inter Milan. An inspired Inter side, led by the brilliance of Diego Milito, put Bayern to the sword and paid to any hopes of lifting the treble. It was 1999 all over again. On reflection, however, it had been a positive season for the club, especially after their indifferent start. Disappointed at not winning the only club trophy he needed to complete the set, Lahm quickly turned his mind to the impending World Cup in South Africa. The young German team that had emerged under Klinsmann in 2006 were close to entering their prime. Lahm was made captain of the team before the tournament began after Michael Ballack had been injured in the FA Cup final. At 26, he was to be the youngest German player to captain his country at the finals. Throughout the tournament, he captained the team with maturity beyond his years, and his stature grew and grew. He was new to the job and understood that there would be lessons learnt along the way. International tournament football is the most unpredictable type of football, something that Lahm would have to get to grips with. After a dominant 4-0 victory over Australia, the team were confident. A 1-0 defeat to Serbia followed and Lahm realised that, just maybe, the win over Australia had led to overconfidence in the camp, which had ultimately resulted in the subsequent loss. With lessons learnt, Germany ground out a hard-fought victory over Ghana to qualify. Lahm’s leadership, grit, intelligence and talent was a standout feature for Die Mannschaft again. England awaited in the last-16 and were considered by many to be favourites for the tie. Germany, however, proved their doubters wrong and produced a fantastic display of all-round football to win 4-1. Ever the calm, thinking man’s footballer, Lahm reminded his team-mates that just two games earlier they had lost to Serbia. Over-confidence wouldn’t be allowed again under his watchful guise. Happy that his team had prepared adequately, Lahm went into the quarter-final game against Argentina ready. 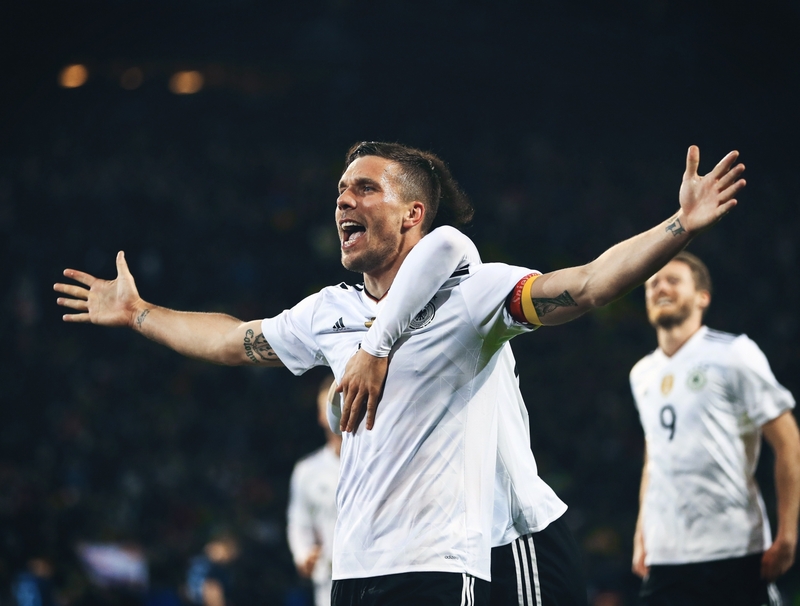 A 4-0 victory saw Germany progress to the semi-finals again, ready to face the might of Spain’s tiki-taka. Lahm, acutely aware of the threat Spain posed, having come up against the likes of Xavi, Andrés Iniesta and Carles Puyol for club and country previously, rallied his troops and looked to lead his nation to a dream World Cup final in Africa. Unlike the open semi-final in 2006, this game was a battle of wits, with both teams struggling to break down their opponents for the first 76 minutes. Despite failing to create any noteworthy chances, Spain’s possession-based football was slowly wearing Germany down. The fact that Spain’s winner came from a set piece rather than an intricate passing move spoke volumes for the level of performance Germany had put in. Although beaten again, they had overachieved in the eyes of their media and, for the second finals in a row, entertained the world with some of the best football played by the national team in decades. The fact that Spain’s winner came from a set piece rather than an intricate passing move spoke volumes for the level of performance Germany had put in. Although beaten again, they had overachieved in the eyes of their media and, for the second finals in a row, entertained the world with some of the best football played by the national team in decades. With the tournament over after victory in the third-place playoff, attention turned to the issue of the captaincy. Lahm’s captaincy was only ever intended to be temporary yet the way he grew into the role, as well as the performance of the team, led to people asking if Ballack could get back into the team at all, let alone as captain. Whilst Lahm was making his intentions clear, a survey conducted by German media found that 72 percent of people thought Ballack’s time with the national team was at an end. Although he probably wasn’t one of the respondents, Joachim Löw agreed with this. He soon made Lahm his permanent captain and, even though he was offered the chance to play in two friendlies to enable him to reach 100 caps, Michael Ballack’s international career was finally at an end. After the encouraging performances in South Africa, Lahm returned to Säbener Strasse ready to build on the solid foundations of the previous season. The domestic double and a Champions League final meant he was beginning to feel comfortable in his position at Bayern Munich. For now, there was no need for any more outbursts. Yet what followed can, at best, be described as a disaster. A last-16 exit to Inter Milan in Europe combined with the emergence of Borussia Dortmund – who would win the double – saw Van Gaal sacked. Lahm had been made captain of the club; once again, he was swimming against the tide in choppy waters. Jupp Heynckes was given the manager’s job permanently for the 2011/12 season but he was unable to break Dortmund’s stranglehold as they once again completed the double. In Europe, however, things were different. Despite having a strong starting line-up but a relatively shallow squad, Lahm captained Bayern to same famous European victories, including a memorable semi-final defeat of Real Madrid. Having already finished runners-up to Dortmund in both domestic competitions, the Champions League final represented Lahm’s last chance of lifting silverware that season. The final was also to be played at the Allianz Arena, giving the Bayern players extra motivation. The script was already surely written for Lahm: a final in his hometown and his own stadium, with him as captain. Sometimes, however, fate intervenes and ruins the best-laid plans. After finally managing to break through the ultra-resistant Chelsea defence to score, Bayern could only watch in horror as Didier Drogba equalised late on. The Ivorian gave away a penalty in extra-time but Lahm was helpless as he watched Arjen Robben’s shot gobbled up by the huge hands of Petr Čech. The game was to be settled on penalties and Lahm was to go first for Bayern. Again, he was leading from the front and showing that he was unafraid of the responsibility, despite his missed penalty against Real Madrid in the semis. Although Čech did get a hand to his shot, it wasn’t enough to stop the ball crossing the line and Bayern were on their way. The club, however, would succumb to Drogba once again as he guided Chelsea to victory with the decisive spot kick. Martin Tyler summed it up best: “Bayern simply burgled, it’s like 1999 and worse.” Lahm could do nothing but look at the trophy longingly as his club season ended on a bitter note again. That year’s European Championships meant he wouldn’t be able to dwell on the defeat for too long, though. Having been drawn in the so-called group of death alongside Holland, Portugal and Denmark, Germany were facing the prospect of a tricky passage through. Three games and three wins later, life was looking rosy for Lahm and co.
Greece, in the quarter-final, were Germany’s next victims but a Mario Balotelli-inspired Italy sent the German’s home at the semi-final stage again. Another tournament disappointment, another shortened summer holiday, and another rushed pre-season. The added disappointment of the lost Champions League final made it the toughest summer of Lahm’s career. When he reported back for pre-season he was met by a host of new players. Realising their squad was too weak, the board authorised the signings of, among others, Javi Martínez, Dante, Xherdan Shaqiri, Mario Mandžukić and Claudio Pizarro. They now had a squad that was the envy of Europe, and one that matched Lahm’s lofty ambitions. It’s these ambitions, the constant will to improve, that has kept Lahm at the top of the European game for over a decade now. By the time the end of the season rolled around, Bayern had won a famous treble. Their dominance was summed up in the Champions League semi-final, where they beat Barcelona 7-0 over two legs. Lahm played 50 games that season and, as he lifted the European Cup, knew this would end any debate about his status among Bayern Munich greats. In an unlikely twist to his career beyond the age of 30, Lahm would be learning the pressures of a new system and position the next season. Bayern had announced Pep Guardiola as their replacement for Jupp Heynckes, who retired at the end of the treble winning season. He came into the club with a number of revolutionary ideas and moving Lahm into central midfield was, at the time, one of the more peculiar ones. Many asked why he was moving a player who had been consistently outstanding throughout his career at full-back into a completely different position, as well as breaking up the double pivot of Javi Martínez and Bastian Schweinsteiger that had been so formidable. Guardiola knew, however, that his Bayern star could be even more influential through the middle – if given a chance – courtesy of his outstanding passing range, ability to break up play and leadership. Lahm, as he had done for much of his career, simply rolled his sleeves up and embraced the new challenge. He respected what Guardiola had achieved at Barcelona and threw himself into a new start – and soon saw the rewards. His performance in the Champions League at Manchester City’s Etihad Stadium was full of grace and expertise as he alternated between pushing up with the midfield and dropping back between the centre-backs, with his ability to play off either foot and cleverly find space evident throughout. Guardiola saw the same qualities in Lahm as he did in Sergio Busquets. He maintained a place in central midfield for the majority of the season, occasionally making appearances at full-back when injuries struck. A Bundesliga and DFB-Pokal double would follow, making Bayern one of only two teams to win a double the year after winning a treble. Once the season ended his focus immediately turned to the upcoming World Cup in Brazil, a tournament he had already decided would be his last. Löw liked what he had seen from Lahm in his new midfield position and maintained it, with Jérôme Boateng, Mats Hummels, Per Mertesacker and Benedict Höwedes making up the back four. Sami Khedira, who had been injured for a long period of the previous season, was left on the bench and in his absence, Lahm led Germany to a 4-0 victory over Portugal in their first game. Draws with Ghana and the USA would follow to see Germany qualify but, for many observers, the performances were nowhere near as encouraging as predicted. The last-16 game against Algeria would be a seminal moment in the grand scheme of things. Algeria had never made it out of the group stages before so to be in the last-16 was already an achievement for them. They knew that, regardless of if they lost, they would be returning home to a heroic welcome. They had nothing to lose and played accordingly. Lahm encouraged his team-mates to stay cool in the face of Algeria’s tough tackling, rearguard performance. On several occasions, German players would start to show signs of anger at such robust challenges but Lahm would quickly come across and calm them down, reminding them how costly a yellow card can be at a World Cup. Two goals in extra-time from André Schürrle and Mesut Özil would be enough to see Germany over the line, but their performance raised questions in the German media. Many thought that being taken to extra-time by Algeria was a sign that Germany were not good enough to win the tournament, yet the squad brushed these off nonchalantly. Lahm organised team meetings to keep everyone focused and on top of their task. He was the ultimate leader now – well-balanced between being a friend and a mentor. A 1-0 win over France in the heat of Rio failed to lack any outstanding spark but, once again, the job had been done. Significantly, Low had shifted things around for this game. Lahm was moved to right-back and Boateng to centre-back, with Mertesacker dropping out and Sami Khedira coming into the midfield. As you would expect, Lahm didn’t put a single foot wrong throughout the game. The win over France set up a semi-final against the hosts, Brazil. Many of the players that were still around from the 2006 World Cup knew the emotions involved in playing a home semi-final and knew how the Brazilians would be feeling. Nothing, however, could’ve prepared them for what awaited. Brazil’s defending was so bad it made almost any work the Germans had done on the training ground virtually obsolete. Seven goals later, Lahm would finally get past the semi-finals at a World Cup. 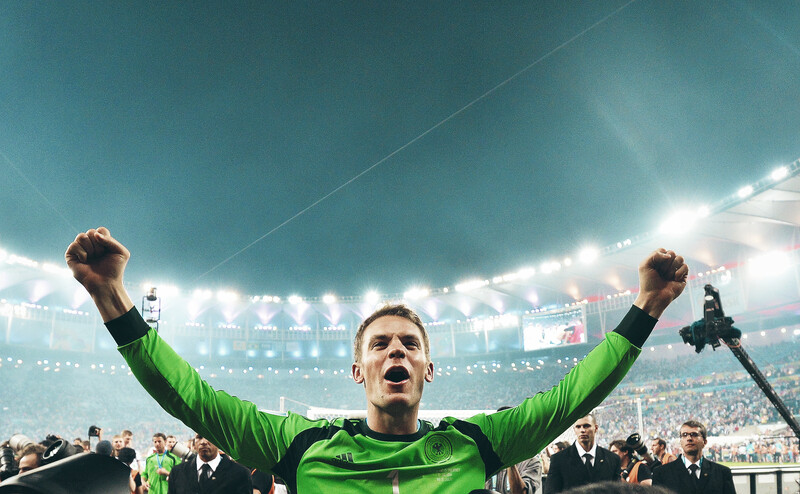 In what only he knew would be his last game for Germany, the biggest prize of all would be at stake. Awaiting Die Mannschaft would be Argentina and, on paper, one of the most fearsome attacks in the game. Alejandro Sabella was able to pick from the likes of Messi, Lavezzi, Higuaín, Di María and Sergio Agüero, and Lahm knew he would have to maintain his, and his team’s, concentration throughout. The game was tense and tight throughout, with only a few notable chances for either side. It was in extra-time when, finally, Mario Götze managed to control a cross and volley the ball past Sergio Romero. It would be enough to see Germany to their fourth World Cup and, as the final whistle blew, Lahm allowed his emotions to get the better of him for once. If Lahm had been able to somehow transmit his thoughts to the world as he climbed the stairs that led to the trophy, they would have been a lot more valuable than a penny. He was, after all, a boy born in Munich and a proud German, who had come through the ups of numerous triumphs with Bayern, the despair of the injuries that threatened to derail his development early on, and the painful tournament failures that had cut so deep. But that mattered little on 13 July 2014. As he got within eyeshot of the World Cup trophy he was greeted once again by Angela Merkel, who spoke a few congratulatory words into his ears. Dilma Rousseff, the Brazilian president, handed him the trophy and, with a mighty roar, Lahm lifted it towards the heavens. His journey as a footballer was complete. In the aftermath of the World Cup, he would announce his retirement from international football. Although many were shocked, nobody begrudged his wishes. After all, what better way to go out than on top of the world? It has been a glittering career for the German, one that has seen him lift eight Bundesliga titles, six German Cups, a Champions League, a European Super Cup and a FIFA Club World Cup. Being awarded the Silbernes Lorbeerblatt, Germany’s highest sporting award, on three separate occasions highlights the esteem with which he is held in his homeland. Add all that to five appearances in the UEFA Team of the Year as well as a sixth-place Ballon d’Or finish in 2014 and the scale of Lahm’s achievements begin to sink in. He is one of football’s greatest full-backs, a man who shone head and shoulders above most of his peers and rivals for over a decade. A man who combined the uniqueness of outstanding stats with visibly intelligent performances. A natural leader, Lahm has surely etched his name into the pantheon of football’s greatest defenders.